So for this game, someone will share something about the Fanatic who posted before them. Whether it's something they already know, or something they assume from your user name/banner/quote/avatar. NotYourChick wrote: ^Fell for one alien. 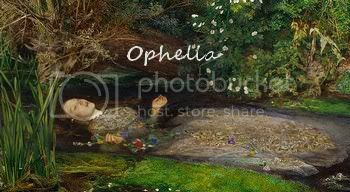 Ophelia's from Hamlet, right? I'm an English teacher; I should know this. ^Seriously likes her some Candy shipping. ^ would probably have a heart attack if he ever saw Emilie de Ravin in Crimson Tide clothing.